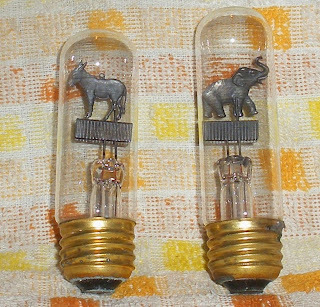 Submitted by Eugene: Attached are pictures that I have of political lightbulbs that I owned, but I look on the internet and cannot seem to find what the value is on them. I was wondering if you could help me out. Thank you! 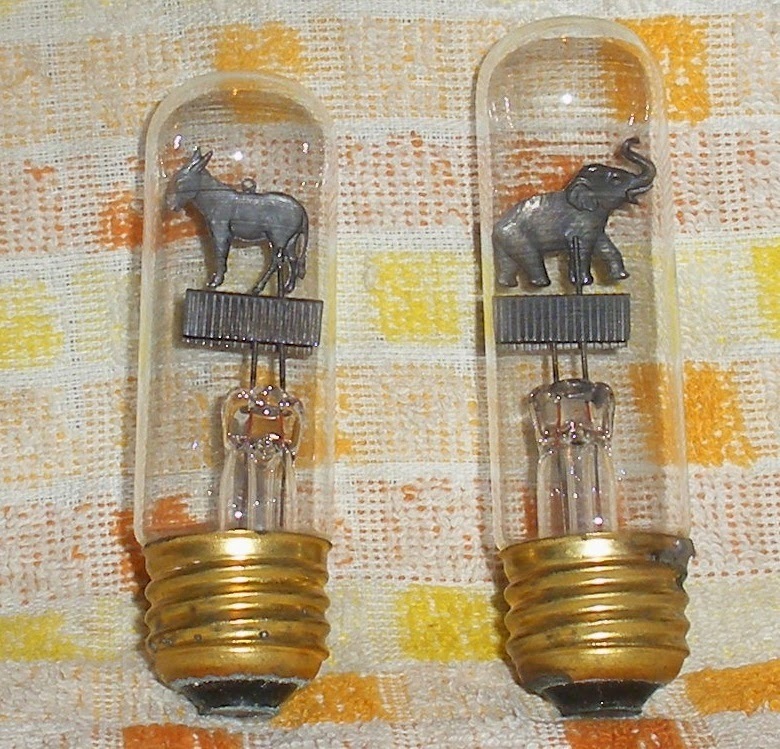 If you can help Eugene by identifying these items please click on the comment button. Thanks! 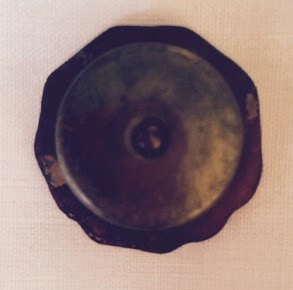 Have you any information about this screw back pin made by the St. Louis Button Company? 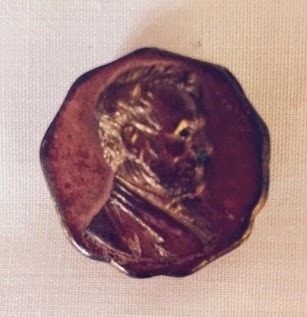 Submitted by Ann If you can help Ann by providing any information on this item please click the comment button. Thanks!